SunButter Sunflower Butter – Natural, Simple, Delicious. SunButter Sunflower Butter is a delicious sunflower spread – perfect for sandwiches and recipes. 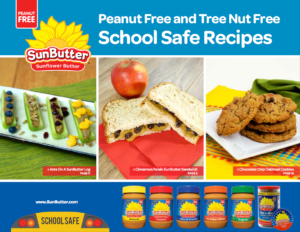 Check out our free SunButter School Safe Recipe Book for over 22 peanut free, tree nut free and delicious recipes that are safe for school, after-school activities, kids sports, and other activities.